Have you lost your receipt for warehoused goods? 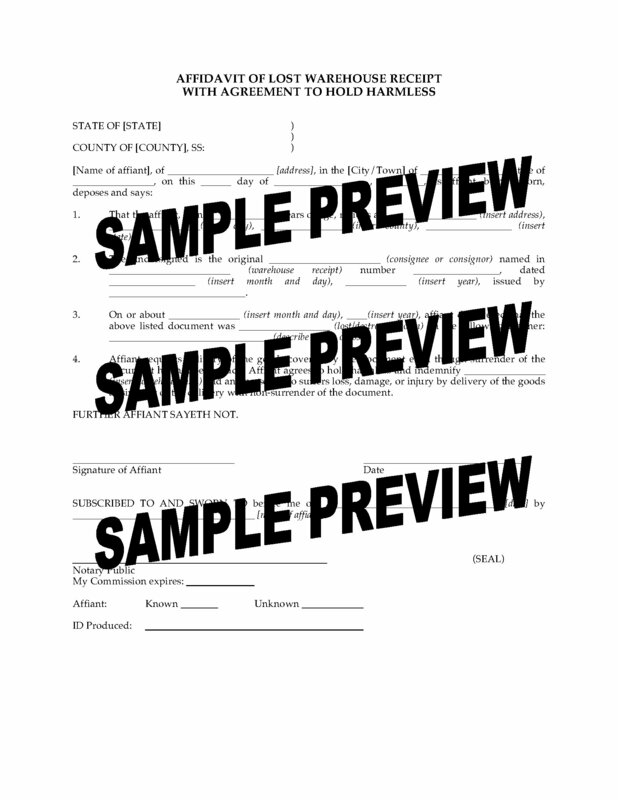 You will need to provide the warehouseman with this USA Affidavit of Lost Warehouse Receipt. The Affidavit must be sworn in front of a Notary Public and given to the warehouseman, in order to obtain delivery of the goods held in the warehouse under the missing receipt. The person making the affidavit agrees to indemnify and hold the warehouseman harmless with respect to such goods. This USA Affidavit of Lost Warehouse Receipt form is in MS Word format and is fully editable to fit your specific circumstances.